The end of the year brings a lot of great things: time with family and friends, fun parties, positive goals for the new year, and maybe even some time off of work. The end of the year also comes with a larger price tag. Studies show that Americans spend more in December than any other month of the year. The cost of food, décor, travel, gifts and more really add up. 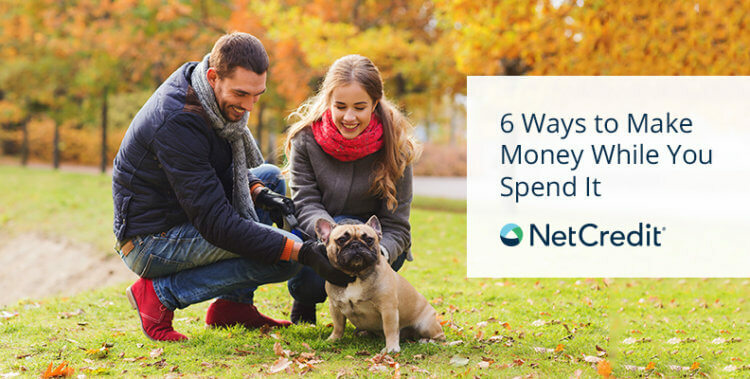 While the first step to your holiday season spending plan should include a budget, adding in a little cushion can help alleviate the stress and ensure that you aren’t still challenged by your budget in January. Whether you need some extra cash to cover a jump in your winter utility bills or you want to get a head start on tax season, we’ve got some great opportunities to help you make the extra funds you need during the holiday season. When spending goes up, the demand for staffing to assist goes up. That’s why a lot of major retailers will hire for a small window leading up to the holidays and slightly after. Even if you have a regular full-time role, a few hours here and there for a month or two can really make a big difference in your budget. If your schedule is a little tight, there are also some work from home options. With the influx of sales comes the need for additional customer service representatives as well. Read this post for more on customer service jobs you can do from home during the busy holiday season. While saving with coupons and promo codes feels great, they’re not always available or applicable to every item in your purchase. But what if you could get real cash back on purchases you were already planning to make? That’s where sites like Ebates really come in handy. Stores pay Ebates a commission for sending customers to their sites, then Ebates shares the commission with their customers in the form of cash back. The best part? You most likely already do your holiday shopping on these sites. Get cash back from popular stores like Macy’s, Walmart, Overstock, Sephora and more. Don’t let the savings stop there — you can also use Ebates on travel websites like Expedia and Hertz so you can earn cash back on your holiday travel. Visit the Ebates website for more information. This time of year brings on a lot of travel, and while many people would love to bring their furry family members with them, sometimes it is just not possible. If you’re a pet lover, this is a big opportunity! Offer to pet sit for friends while they’re away or even just a walk if they’re gone for several hours. If you don’t have any friends with pets, sign up for pet sitting services like Rover. You can set your overnight pet sitting rate or per walk rate. Cars can cost a ton — with repairs, maintenance, insurance and registration, the costs add up (and can be especially painful if any of those costs occur during the holidays). The good news is that there are are options available to help you make money with your car! You are probably familiar with ride share businesses like Uber and Lyft. While these are two great ways to make income with a flexible schedule, they do mean sacrificing your free time to make that extra cash. If you’re on a tight schedule, check out a new start-up called Getaround. This new service is much like AirBnB, except you rent out your car for certain windows of time (anywhere from a few hours to days at a time). Check to see if it’s available in your area. If you’re out and traveling for the holidays, why not make some extra cash from your empty home? Rent out your space to others that need it through sites like AirBnb. You can set your own price and take advantage of high-demand time windows that can save you big bucks! If you plan on staying around during the holiday season, look into hosting an AirBnb experience, where you can get paid to host unique experiences that interest tourists. These include things like yoga, live music, fishing and more! It’s a great way to meet new people and utilize a skillset you already have.